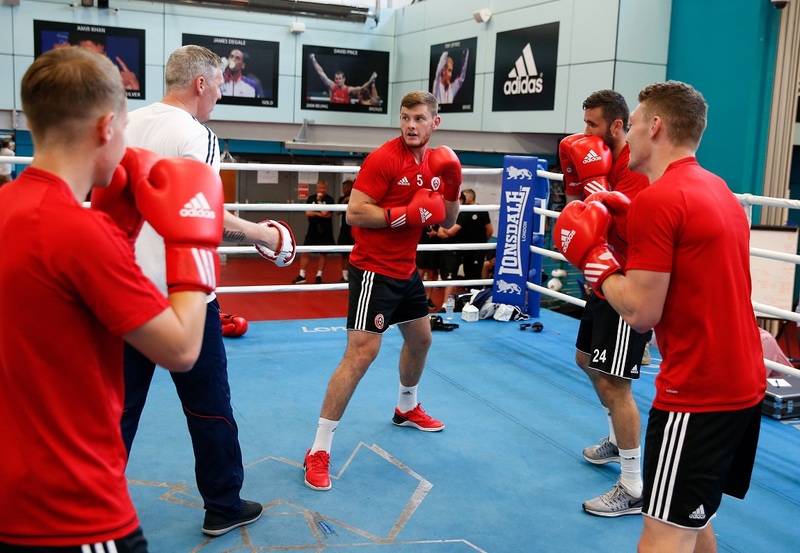 The GB Boxing coaches put local football club, Sheffield United, through their paces as part of the teams training for the upcoming Championship season. The team were split into three groups, each taking part in a forty-five minute boxing session. The session was based on high intensity bag work, boxing drills which included sprints, shuttle runs and press ups. The players were also given the opportunity to train in the London 2012 Olympic boxing ring, where they took part in a group pad session. GB Boxing Olympians and European silver medallists including Galal Yafai and Pat McCormack, were among the crowd of boxers in the gym that supported the players during their training session. 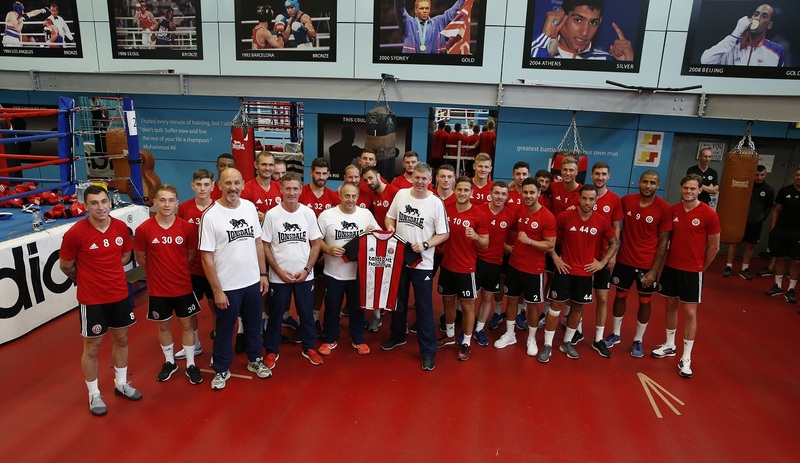 GB Boxing coach, Tony Davis said: “It was a pleasure to work with the Sheffield United team, and to give them an insight into the style of training that we do with the boxers on the Olympic programme. “Some of the skills required in the session such as balance and speed, were transferable between both of the sports, allowing the lads to take their skills from the pitch to the boxing ring. “They left the gym with an understanding of how difficult it is to coordinate different body parts as opposed to when playing football, where their main focus is to coordinate their footwork. “The session also gave the lads a deeper insight into teamwork, and the understanding that if you make a mistake in boxing there is only you accountable, where in football that mistake impacts the rest of the team.